Nominate a Teacher of Excellence! 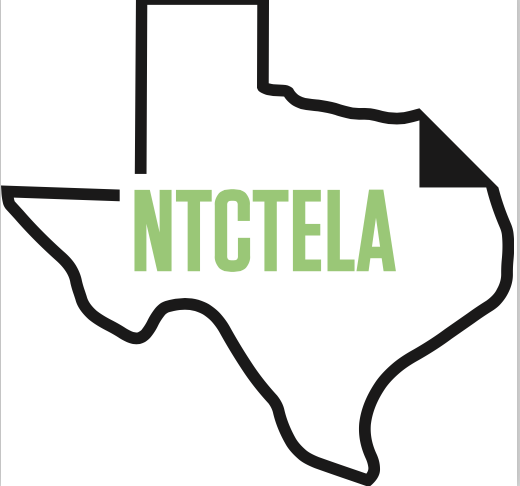 NTCTELA awards one Teacher of Excellence award to an outstanding elementary, middle, and high school teacher who has made a significant contribution to the teaching of English Language Arts. Award winners receive an all-expense paid trip to either the ILA (International Literacy Association), TCTELA (Texas Council of Teachers of English Language Arts), or NCTE (National Council of Teachers of English) annual conference. 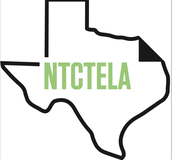 Winners will be announced at the annual NTCTELA Conference on June 8, 2018 at the Hurst Conference Center. Click quick! Nominations close on December 15, 2017. 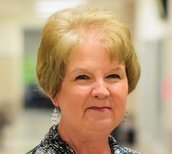 Messages from the Field: Meet Rhonda Shelton, NCTCELA's High School Teacher of Excellence! I took a quick glance at my email that beautiful spring morning. The normal school day list appeared: one from the nurse about paperwork, another from an attendance clerk, verifying a student’s attendance. The list was long, as usual. It reflected the normal ebb and flow of a school day, until my eyes rested on a subject: 2017 Teacher of Excellence Award. I double-clicked the email and saw, “Congratulations!” I was stunned! I later found out that I had been nominated by one of my colleagues and another had written the letter. Wow! They are amazing writers! I felt extremely humbled, especially considering the colleagues with whom I work. Before I knew it, the year was over and it was time for the NCTCELA Annual Conference. It was a perfect way to breathe out a school year and breathe in the possibilities of my own growth. It was a place where I could find new strategies and make my lists of summer reading from the mentors that helped me push to the next level. It was here that I received my award and learned that I had my fees paid to attend the NCTE conference. That was a dream come true. I had always wanted to attend, but out of state conferences were cost prohibitive. Now, I could soak up the experience. I didn’t think the day would ever arrive, but the start of the NCTE Annual Convention finally rolled in on a flight to St. Louis, Missouri. Arriving at the convention center and receiving the schedule of events was truly overwhelming. How do you choose just one in a timeslot? Sitting under inspiring mentors like Penny Kittle and Kelly Gallagher forced me to listen with two sets of ears, one for me as a writer, and one for teaching my students to be writers. I even happened to be in the right spot at the right time and was invited to a breakfast with Kelly Gallagher and won one of his books. Of course, hearing teachers from all over the nation present strategies for developing literacy generated all kinds of lists of things to try. Rhonda currently teaches Senior English and serves as Department Chair at Lewisville High School in Lewisville Independent School District. 34 years in the classroom: precious stories heard, countless books consumed, innumerable words penned, life lessons learned- priceless. Save the Date! NTCTELA Annual Conference! Space is limited, so sign up quickly!